This Tea is preservative – free it contains cardamom, sucrose, tea extract, and Milk Solids. 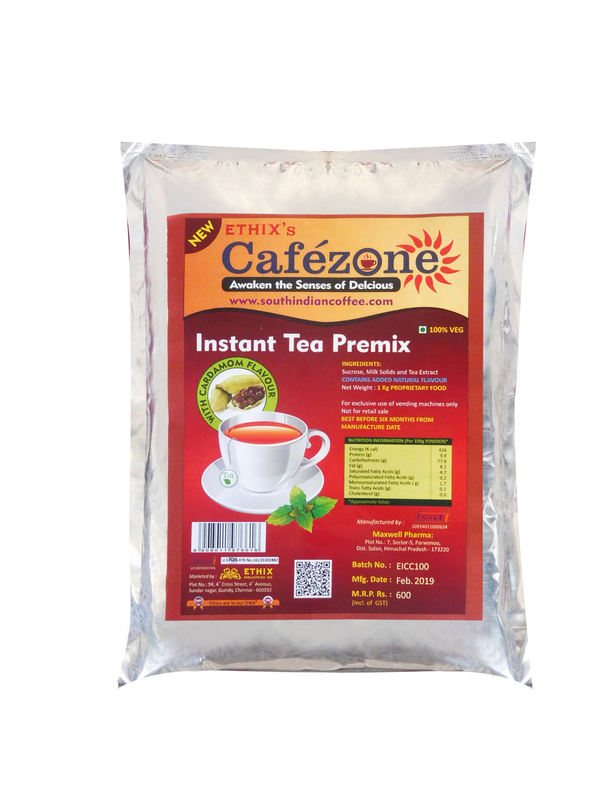 Taste: nice refreshing and delicious in taste, how to make: just add 100ml hot water to Cafezone Tea premix to enjoy your instant delicious cup of Tea, just like home-made, in less than a minute. Sucrose, Milk Solids, Cardamom, and Tea Extract. This Tea is preservative – free it contain cardamom, sucrose, tea extract and Milk solids.